Updated On 04/Jan/2019 – Welcome to Candytech, and in this article let me share with you some of the best budget phones you can buy currently. *New Addition to the list is the latest Asus Zenfone Max M1 Launched on 17th October 2018. Everyone has different needs, I would suggest you buy a phone which suits your needs, rather than following the herd behavior. Besides, some people want better battery life, some like to click selfies, and others want a phone for gaming. We have compared 4G phones with fast Quad/Octa-Core Processor, latest OS, and at least 2 GB ram, essential for fast performance. Most of these are top-selling online (Flipkart and Amazon) and come with excellent performance/camera for the price. Three essential features you should have on your next phone are long battery life, fingerprint scanner, and latest OS. Here are the Best Phones priced under Rs 8000 in India January 2019. Let’s start with the latest Asus Zenfone Max M1 Launched in India recently. The Asus Zenfone Max M1 is the latest addition to this list as the smartphone goes on sale in October 2018. The Zenfone Max M1 comes with a massive 4000 mAH capacity battery and a decent pair of the rear and front camera. Also, powering the device is the Qualcomm Snapdragon 430 Octa-Core Processor and the Adreno 505 GPU which is great for playing games like PUBG and the Asphalt 9. Display resolution – 1440*720 Resolution with 18:9 aspect ratio, 267 PPI. Processor – Qualcomm Snapdragon 430 Octa-Core Processor, 1.4 GHz. GPU – Adreno 505 GPU. Ram – 3 GB DDR3 Ram. Battery Capacity – 4000 mAH with 10 watts fast charger. Operating System – Android Oreo 8.0 OS with Zen UI 5.0. Dedicated Memory Card Slot – Yes. The Good – Decent Rear and Front Camera, Fast Processor, Long Battery Life. The Bad – Not really at this price. For starters, the Xiaomi Redmi 4 is launched in India in May 2017 and comes with exceptional specs and performance. Also, it offers a better metallic design compared to Redmi 3s and has a faster Qualcomm Snapdragon 435 Processor along with the Adreno 505 GPU. Redmi 4 – 4 GB RAM and 64 GB Storage Price Rs 10,999. Screen Size – 5.0-inch screen 2.5D Curve Glass. Display resolution – 1280*720 IPS LCD Display. 294 PPI. Processor – Qualcomm Snapdragon 435 Octa-Core Processor, 1.4 GHz. Battery Capacity – 4100 mAH. (Long Battery). Operating System – Android Nougat 7.1 With MIUI 9.0. Dedicated Memory Card Slot – NO. The Good – Good Battery Life, Fast Performance Ideal for Gaming, 3 GB RAM. The Bad – No 18:9 display, May Get Oreo OS late. Lacks Fast Charging. If you wish to have a terrific build quality, excellent battery life, and latest OS, then Moto C Plus is a perfect choice. Screen Size – 5.0-inch screen HD Display. Processor – MediaTek 6735 Quad -Core Processor, Clock Speed 1.3 GHz. GPU – Mali T720 GPU. Ram – 2 GB DDR3 Ram. Camera Rear – 8 MP rear camera with LED Flash. Front Camera – 2 MP Front camera. Battery Capacity – 4000 mAH. (Long Battery). Operating System – Android Nougat 7.0 Near Stock OS. Storage – 16 GB internal Storage expandable to 128 GB. The Good – Good Battery Life, Stock Android Experience, Good Build Quality. The Bad – Mediocre-Processor and Performance. Key Highlight – 13 MP Front Selfie Camera, 3 GB Ram. Screen Size – 5.0-inch screen HD Display With Gorilla Glass. Processor – MediaTek 6737 Quad -Core Processor, Clock Speed 1.25 GHz. GPU – Mali T720 MP1 GPU. Front Camera – 13 MP Front camera Selfie Camera. Operating System – Android Nougat 7.0. Launch Date – Mid 2017. The Good – 13 MP Selfie Camera, Affordable Price, 3 GB Ram. 10.OR E is the latest phone that comes with mindblowing specs for an affordable price of Rs. 6,999. Display – Full HD Display with 5.5 Inch Screen (1920*1080) pixels, 401 PPi.(16:9). Processor – Qualcomm Snapdragon 430, Octa-Core processor,Clock Speed of 1.4 GHz. Storage – 32 GB internal storage, Expandable to 128 GB. Rear Camera – 13 MP With Autofocus, Flash support. OS – Android Nougat 7.1.2 with Stock experience. Battery Size – Large 4000 mAh battery capacity. Fingerprint Reader – at the back. The Good – FHD Display, Great Battery life & Performance. The Bad – No real cons, though it lacks 18:9 display. The latest phone from Xiaomi is a crowd favorite as it offers incredible features for a very affordable price tag of Rs. 7,999. Redmi 5 With 16 GB Storage and 2 GB RAM – Rs. 7999. Redmi 5 With 32 GB Storage and 3 GB RAM – Rs. 8999. Redmi 5 With 64 GB Storage and 4 GB RAM – Rs. 10,999. Design – Metallic, Bezel-less Full Vision Design. Screen Size – 5.7-inch screen 2.5D Curve Glass. 18:9 Aspect Ratio. Display resolution – 1440*720 IPS LCD Display with Gorilla Glass. 282 PPI. Processor – Qualcomm Snapdragon 450 Octa-Core Processor, 1.8 GHz. GPU – Adreno 506 GPU. Ram – 2 or 3 / 4 GB DDR3 Ram. Camera Rear – 12 MP rear camera with LED Flash. Battery Capacity – 3300 mAH. (Long Battery). Storage – 16 or 32 GB / 64 GB internal Storage expandable to 128 GB. Price – Rs. 7,999 or Rs. 8,999 or Rs 10,999. The Good – Best Performance, Good Display, Battery, and Experience. The Bad – Nearly Perfect. Key Highlight – 5000 mAH Capacity Battery, Snapdragon 435, Android Nougat 7.1. The Smartron t.Phone P is from the Indian brand backed by Sachin Tendulkar. The tPHone P comes with a massive 5000 mAH capacity battery, Powerful Processor and has decent cameras. Display – HD Display with 5.2 Inch Screen (1280*720) pixels, 293 PPi.(16:9). Processor – Qualcomm Snapdragon 435, Octa-Core processor,Clock Speed of 1.4 GHz. OS – Android Nougat 7.1.2. Battery Size – Very Large 5000 mAh battery capacity. The Good – Great Battery Life phone with excellent performance. The Bad – No real cons, at this price. Key Highlights- Good Camera, Android Nougat 7.0, 3 GB RAM, Snapdragon 430. Moto G5 is now available cheaper and you can buy it for Rs. 8349 from Amazon India. The Moto G5 offers a great experience, build quality and camera quality. Design – Aluminum Unibody Design. Display resolution – 1920*1080 IPS LCD Display. 441 PPI. Processor – Qulacomm Snapdragon 430, Octa-Core Processor, 1.4 GHz. Battery Capacity – 2800 mAH. Operating System – Android Nougat 7.1 Near Stock OS. The Good – Good camera, Stock Android Experience, Good Build Quality. The Bad – Lacks 18:9 display, Only 16 GB storage. Key Highlights- 4 GB RAM, 5.5 Inch FHD Display, 4000 mAH Battery. The Micromax Yu Yunicorn is now available for Rs. 7820 on Amazon India after a price drop. It is one of the cheapest phones with 4 GB Ram phone in the sub 8k price range. Display resolution – 1920*1080 IPS LCD Display. 401 PPI. Processor – Mediatek Helio P10 Octa-Core Processor, 1.8 GHz. Ram – 4 GB DDR3 Ram. Operating System – Android Lollipop 5.1 OS. The Good – 4 GB RAM, FHD Display, 32 GB Storage, Long Battery. The Bad – Old Dated OS, MediaTek Processor. Related – 7 Best Mobiles with Great Camera Budget 10K. Key Highlights- 3 GB RAM, 5.7 Inch HD+ Bezel Less Display, SD 430. Itel is getting aggressive with new phones like the itel S42 that comes with a 5.7 Inch Bezel-less, 18:9 Aspect Ratio, display. It even comes with the Face-unlocking feature and also has a fingerprint scanner at the back. Display – 5.65-inch, IPS LCD With 18:9 Aspect Ratio, HD+ (1280*720 pixels), 2.5D curved Glass. Storage – 16 GB of internal storage with microSD card support up to 128 GB. Rear Camera – 13-megapixel with PDAF and Led Flash. Battery Capacity – 3,000 mAH. Connectivity – Dual Sim 4G VOLTE. The Good – 3 GB RAM, HD+ Display, Face Unlocking. The Bad – Average Design and Camera. Infinix Hot4PRO is the latest mobile launched by the Hongkong based brand Infinix in India. The smartphone is available for Rs. 7,499 – The Infinix Hot4 Pro is one of the phones you would love to buy if you want uninterrupted usage with long battery life. The mobile is available on Flipkart from August’17. The key highlight of the Infinix Hot4 Pro is the 4000 mAH battery capacity. Moreover, it runs on the underpowered MediaTek 6737 Quad Core processor clocked at 1.3 GHz. Thereby, It is not a good smartphone for high-end gaming, but all other purposes it is fast enough, and even has 3 GB RAM. Further, it comes with the Android Marshmallow OS along with the custom skin XOS from Infinix. The internal storage is ample with 16 GB memory, expandable up to 128 GB using a micro-sd card. For camera enthusiasts, it comes with a 13 Mega Pixel rear camera and a 5 MP front selfie shooter. Also, the Hot4 Pro has a 5.5-inch screen with HD (1280*720) resolution with 267 PPI. Additionally, the phone comes with Dual Sim Support and has 4G LTE/Volte connectivity too along with the native 3G and 2G. Lastly, it offers a fingerprint scanner at the back of the device and even boasts of a loudspeaker at the bottom. Why Buy it? – It comes with extraordinary battery life and also has 3 GB Ram, though it is a new brand. Key Highlights- 3 GB RAM, 5.5 Inch Full HD Display, SD 430. Mobiistar is a new brand that has launched in India recently and they have launched the specs loaded XQ Dual for Rs. 7,999. The phone offers fast performance as it comes with the Qualcomm Snapdragon 430, Octa-Core processor and even has the Adreno 506 GPU. Also, the phone has Dual Front selfie cameras with 13MP+8MP resolution and at the back, there is a single 13 Megapixel camera. Display – 5.5-inch, IPS LCD With 16:9 Aspect Ratio, Full HD (1920*1080 pixels), 2.5D curved Glass. Storage – 32 GB of internal storage with microSD card support up to 128 GB. Front Camera – 13-megapixel + 8 Megapixel Dual selfie cameras with dedicated flash. The Good – 3 GB RAM, FHD Display, 32 GB Storage, Long Battery. The Bad – No 18:9 aspect ratio display, a new brand in India. Key Highlights- 3 GB RAM, 5.99 Inch HD+ Display, 4000 mAH Battery. Infinix is a Chinese brand and is know to launch some of the most affordable phones that are specs loaded. 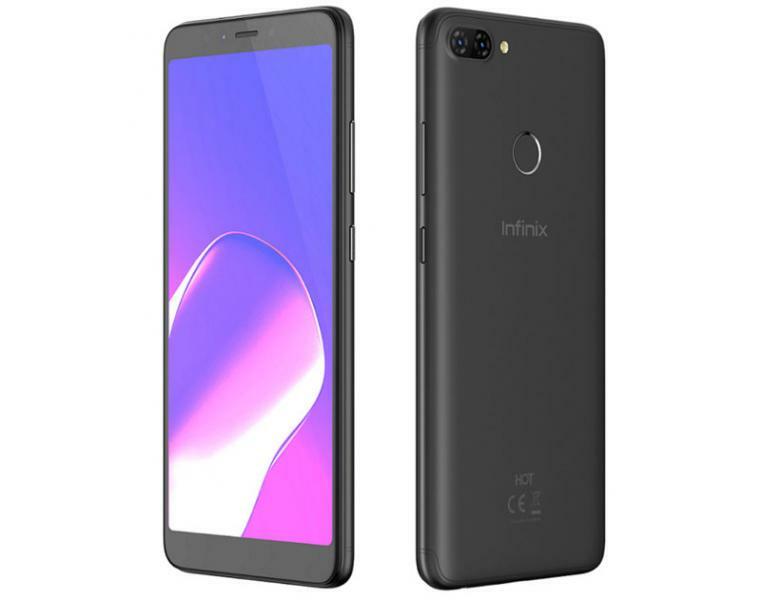 The new Infinix Hot S6 Pro is launched in Mid July 2018 and costs Rs. 7,999. The phone offers fast performance as it comes with the Qualcomm Snapdragon 425, Quad-Core processor along with 3 GB ram and Adreno 308 GPU. It boasts of Dual Rear cameras with (13 MP+ 2MP ) cameras and at the front, there is a 5 Megapixel shooter for clicking selfies. Display – 5.99-inch, IPS LCD With 18:9 Aspect Ratio, HD+ (1440*720 pixels), 2.5D curved Glass. Rear Camera – 13-megapixel and a 2 MP camera with PDAF, F/2.0 aperture and Led Flash. Front Camera – 5 Megapixel selfie cameras with dedicated flash. Battery Capacity – 4,000 mAH. The Good – 3 GB RAM, HD+ Display, Android Oreo, 32 GB Storage, 4000 mAH Battery. The Bad – New brand in India, only Quad-Core SD 425. If you are a Nokia fan, here is the most affordable phone from the brand that you can purchase for Rs. 7499. The Nokia 2 is launched in India and many other countries in November 2017 and is available for purchase online as well offline. The key highlight of Nokia 2 is its excellent build quality and design. The phone looks robust and is made of Aluminum 6000 material and polycarbonate. Also, the Nokia 2 comes with the IP-52 splash resistant rating to keep it safe from water. Notably, the Nokia 2 has a colossal battery capacity of 4100 mAH that can easily last all day. The phone runs on the Android Nougat 7.1 OS and will also get an Oreo 8.0 update from Nokia. The Nokia 2 comes with a 8 Megapixel rear camera and also has a 5 Megapixel front selfie camera. Moreover, it runs on a dated Snapdragon 212 Quad-Core processor clocked at 1.2 GHz and comes with just 1 GB RAM. Besides, the phone measures 9.3 mm in thickness which is high but is a result of having the large battery capacity. Furthermore, the Nokia 2 has a 5.0 Inch screen which comes with HD (1280*720) pixels resolution. Lastly, the mobile has Dual Sim support and even comes with support for micro-sd card to increase the 8 GB internal storage. Why Buy Nokia 2? – Overall for the price, Nokia 2 looks expensive, and people who would want a more reliable but sluggish phone can opt for the Nokia 2. 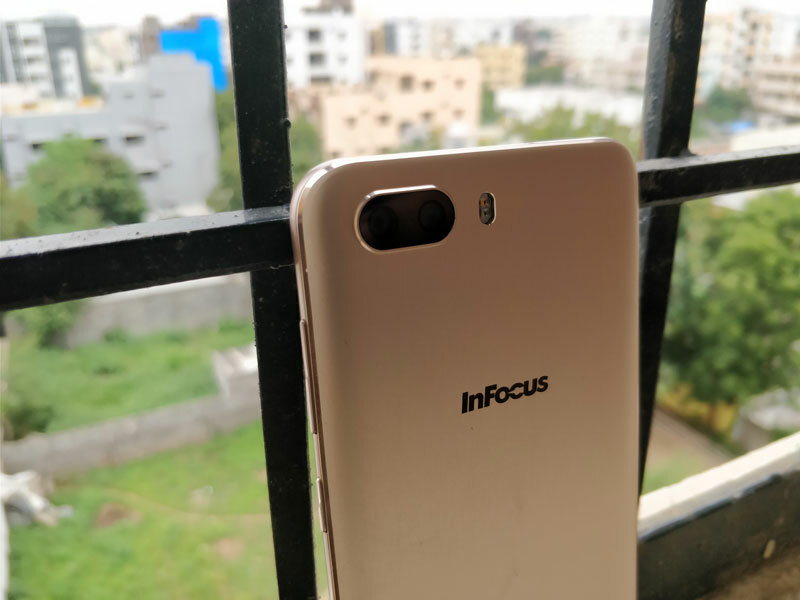 You want Dual Camera phone at the sub 8k price, look no further there is InFocus Turbo 5 Plus (can read review) that I reviewed a couple of months back. The phone was initially launched for Rs. 8,999 and is now available for Rs. 7,999. For photography, the phone comes with Dual Rear Cameras (13 MP + 5 MP) and even has a 5 MP front selfie camera. In fact, the camera performance is decent for the price; we can’t expect it to match the Mi A1. Notably, the phone runs on the MediaTek 6750 processor clocked at 1.5 GHz and also has got 3 GB Ram and 32 GB of internal storage. The storage is user expandable, and you can add a micro-sd card up to 64 GB capacity. Moreover, it comes with a 5.5 Inch Display with HD (1280*720) pixels resolution that is excellent for watching Netflix and Youtube videos. Also, it will never run out of battery, as the Turbo Plus comes with a massive 4850 mAH battery capacity. Lastly, there is Hybrid Dual Sim support which can be used for 4G LTE and VOLTE connectivity. Why Buy the Infocus Turbo Plus? – It offers incredible Battery life and has a decent dual camera, makes it a worthy purchase. Key Highlight – 13 Megapixel rear and front selfie camera. The Kult Beyond is the latest phone launched by Optimeus group, which has the license to manufacture blackberry mobiles in India, Sri-lanka, and Bangladesh. Kult Beyond is launched in India in August 2017. The device is priced at Rs. 6,999 and is available for purchase from Amazon India. To begin with, the Kult Beyond comes with 5.2 Inch Display and has HD (1280*720) pixels resolution and 273 PPi. Also, it boasts of 3 GB of Ram and even comes with a 13 Megapixel front selfie camera. Besides, there is a 13 Megapixel rear camera to click images. The device runs on latest Android Nougat 7.1 and even comes with a large 3000 mAH battery, and a Fingerprint scanner. Furthermore, It has got ample storage (32 GB) expandable up to 32 GB using the micro-sd card slot. Additionally, the Kult beyond draws power from the MediaTek 6737 Quad-Core processor and the Mali T720 MP1 GPU. Noticeably, the processor is similar to many other phones like the Moto C Plus and Xolo ERA 2X. In fact, it is an average performance SOC. Also, the Kult Beyond comes with the Dual Sim support and even has basic connectivity options like 2G/3G/4G, etc. Lastly, it has a large capacity battery – 3000 mAH that does not come with fast charging support. You can also read about – Kult – Beyond Vs. Xiaomi Redmi 4 Vs. Moto C Plus Comparison. Why Buy Kult Beyond? – It Offers 13 Megapixel selfie camera and 13 MP Rear camera,3 GB ram and 32GB internal storage. These are unmatched specs in this price range. These are all the latest mobiles worth buying under Rs 8000. And as I said above, you can share with me any queries in the comments below if you are not able to decide which phone to purchase, I will try to help. 15 Best Mobiles for Longest Battery Life. price of redmi 5 is not correct. honor 8 smart vs redmi 4a which is best??? Basically l always prefer indian brand another the main things for my requirement a very good looking and a good camera thus i prefer j7 pro, f3, 6plus, s8 etc but neither a company has compedition or has launch any low or middle range good looking , gd camera or gd features phone thats why i angry and upset for indian brand? 4. Very rarely i will use Music. I am thinking of Moto E3 Power. But, someone told me, service centers are very rare for Moto. Please suggest me. Is Moto E3 Power’s battery is removable or non-removable? Is the processor of moto e3 power gud for gaming . Ifnot then budget is Rs8000 SUGGEST ME A GUD PHONE. I want to buy a phone around 8K (6-10K) for my father. Who just uses phone for calls, whatsapp, fb. But needs good battery to last whole day with internet (4G) on. Please recommend one. I shortlisted Redmi 4s but it is not available for delivery in U.P. Is camera quality of Redmi 3s is better in low light????? i want a slim,good camera capture,long battry life,more space in RAM and ROM also,4g and good looking phone under ₹8500???? Mera budget 8000 hai Muze mere phone me 2gb ram marshmallow 3500 ke upar battrry aur finger print scanner chaiye to me konsa phone lu? I want to redmi 3s their is limited stock I want this phone than what I do ? 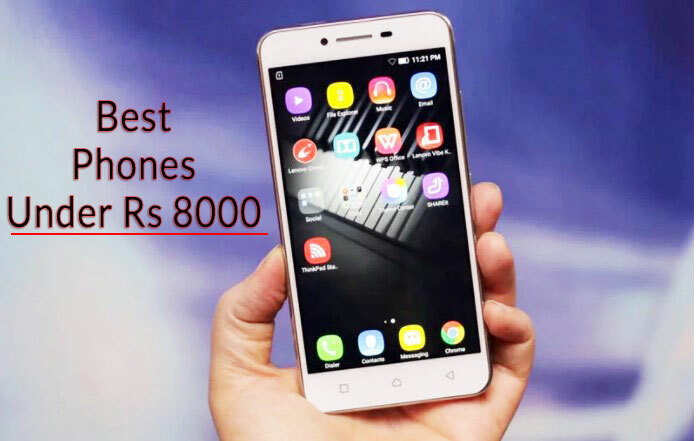 Sir My Budget Is 9000 Which Phone Is Best Plz Suggest Me Sir…. Good Battery Backup ,Cam, Speed..
my budget is 7000 and i want a mobile which is long lasting having battery 4000Mah , min. 2 gb ram and 1.5gb quadcore processor , i can compromise with camera quality but performance and durability is must and a long battery backup ofmin. 1.5 days. Please suggest me one under ur observation.. I want to buy good camera Ram battery 4G phone in 8000 price range ..plz suggest me which one is best..
Leno A6000 plus or or micro-max YU yuphoria or redmi prime 2? The only thing I want in my phone is that it should be a gaming machine. It shouldn’t lag when playing heavy games . my budget is up to 8K suggest me the best one. yes there is in chandigarh. which one should i buy lenovo or xiaomi? 6000+ or redmi2 or moto e2? Most heating issues creates due to memory card ,like some media server internal application creats the prblm so u install a application from play store name mediaserver killer it will absolutely help u to prevet from heating.I m using Lenovo A6000 + very good phone. Thanks yes observed the same issue long back on a smartphone with memory card. I am totally confused. Plz tell me which one is better with bttry and performance in range of 8k? With less issues. Mujhe Mobile Lena H Jo 8000 Tak ho or 4g Support ho…. i want purchase redme 2 prime is it best smart phones under 7000? yes it is pretty good you can buy. which smartphone is best for music/sound? Which is best a6000+ or redmi 2, on the basis of net, study, backup, capacity nd performence. under 7500 which is the best android phone for headphone sound quality? Thinking of getting yu yuphoria.. Guys plz help.. Is it good for gaming??? Red mi2 is very nice phone friend’s. M using now. my butjet 8000 rupees ,what is the best cell phone and pls say to me??????????????????????????????????????? Canvas spark or xolo which is best for me?????????? ??? I want to buy iris x8 but the battery is non replacealble if the battery is accidentally how can I get new battery? please. I want MRE battery life n gud cam too.. Which phone is best under 8k ? Yurophia or redmi note 4g? Am having a big doubt..
Is yurophia gave a decent battery backup? At least a day wit net ??? mote e 2nd gn battery is packed whether it would cause any problem…the only things which is not allowing me to buy this smart phone please help me out of this. hlo Kanju… i like YU… why not u recommend YU. or A6000 is better than YU ??? Yaar i am looking to buy a new phone,but cant decide.User reviews for lenovo 6000plus are very terrible. Everybody is saying that it heats like an oven. Redmi & Yuphoria has the service center issues & huawei Honor 4c is out of my pocket.Please please please help me to choose wisely…..
GuyS my budget is 9000k.which smartphone should I buy? Huawei Honor 4C or 4X or even the Moto E 4G. hi guys, i heard that lenevo a6000 plus. produces more heat we cant keep it in the pocket as i listened from the users. is it right? i want to known please help me.. Please tell me which phone is best. I like to play heavy graphic games around 1gb storage games and i like photorgraphy also and 2gb ram ddr3 ram should their in phone. Please suggest me best phone. i don’t know about honor’s history is it like Micromax phones that always has some sort of problem or it is fine ?please help …..
guys, my purchasing budget is around 7k. and mainly i m thinking about 3…4 phones i.e lenevo 6000+ ,dazen1 nd huwaei honour holy. so plz tell me which 1 i should buy on the basis of its camera , sound nd resolution. Guys I’m very confused which smartphone should I go with? Plz help me……. which one is better than best? Leno A6000 plus or honor holly or micro-max YU yuphoria or redmi 2 ? I tried zenphone and Huawei and no doubt asus proves to be the number 1 phone in the list as it offers 2 gigs of ram….. The most i loved about the device is it’s look specially the metallic look on the bottom……… Phone doesn’t lag at all……. And heavy games and apps runs as smooth as on any other expensive phone…… I’ll advice to get it if you are about to get a smartphone… No doubt it’ll not disappoint your first smartphone experience … And if you have to buy any other than I’ll prefer to advise for moto e 2 gen….. Thanks for the Feedback Kritin ! What about lenovo a6000 plus? Don’t buy Lenevo 6000 plus as it is heating like anything thought specs are good. Milind try clean master app and see if it makes any difference, try to enable end process option and turn off location..
i like ur article i bought lenovo a6000 thnk u for ur suggetion. lenovo a6000plus or xiaomo redmi 2 ? Dear Satvinder A6000 has a decent processor Snapdragon 410 which can handle modern games well. Thanks Goutham we will add that as well to this List. Nice review of these under 8000 price smartphones. I have a question- Which store is best to purchase smartphone?